We all love to be out in the yard on a beautiful, sunny day. Relaxing on a lush green lawn makes the experience even more pleasurable. For a lawn, though, summer season can be the most stressful time of the year. It can be tough enough to keep a lawn healthy when the temperature soars and the sun scorches. And there’s also the issue of maintaining your yard in an eco-friendly way, because when it rains, any toxic chemicals you use on your lawn will be flushed into local rivers, streams, and lakes—which harms not just the waterways, but the creatures and plants along the way. Thankfully, you can keep your yard green in more ways than one this summer. Here’s how to keep your yard healthy and environmentally safe. The gas-powered mowers are major carbon emission culprits. They are really bad for our air quality and contribute heavily to global warming. Luckily, there are many high energy, low quality alternatives to conventional gas mowers. For instance, rotary mowers, those old-fashioned hand-powered machines, have made a comeback! If you own a smaller lawn, you will find rotary mowers very appealing particularly for their low maintenance, maneuverability, and minimal environmental impact. Alternatively, you can opt for electric ones, as they emit far less pollutants than gas powered machines, are often easier to push, and are much more quiet. Giving your lawn a crew cut will not do it a favor. One of the major rules behind organic summer lawn care is the height of the grass. The higher the better. Many homeowners believe that it’s important to keep their lawns mowed as low to the ground as possible to keep it healthy and away from weeds. However, in reality, the opposite is true. Tall grass blades have more surface area exposed to the sun, which allows them to photosynthesize more light energy for root growth. And the healthier the roots are, the more nutrients and water they can absorb, which ensures healthier grass blades. As a rule of thumb, never cut off more than one third of the grass at any time. To achieve towering grass blades, set the mower to the maximum, which means it should cut at 2.5-3 inches. Also, keeping the mower’s blade sharp will ensure clean cutting and will avoid tearing or damaging the blades. 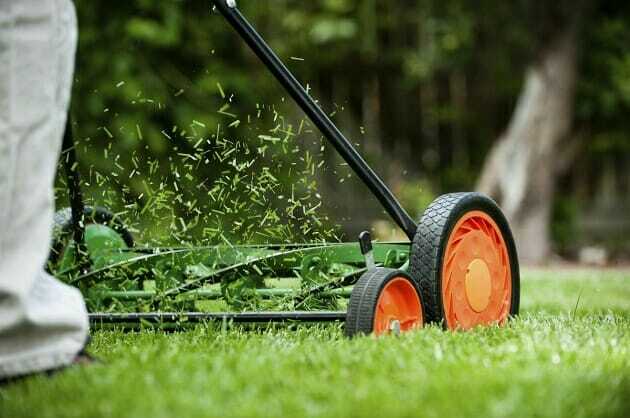 Another great way to keep your lawn healthy, low-maintenance, and eco-friendly is to leave the grass clippings on the lawn itself after your mow. As they decompose, they add nitrogen and valuable organic matter to the soil, which means you spend less money and time on fertilizing. 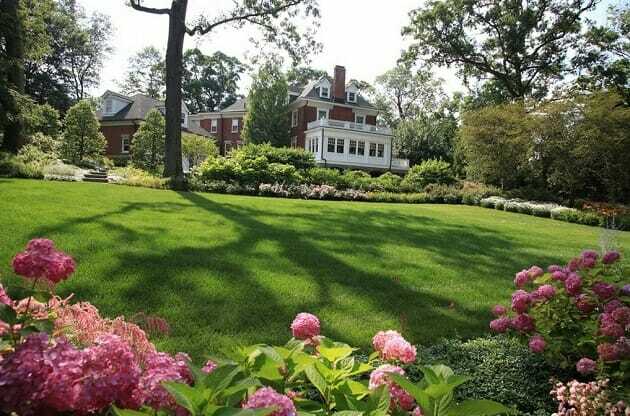 Contrary to the popular belief, allowing the clippings to decompose on the lawn will not cause a buildup of thatch—a layer on top of the soil that blocks nutrients and water from reaching the grass’s roots. Rather, it is caused by fertilizing. So from now on, instead of bagging up the grass clippings and sending them to the landfill, consider investing in a mulching blade and let the clippings stay on the lawn. The best way to go green while caring for your summer lawn is to use water wisely. It is estimated that 40 to 60 percent of residential water is used for landscaping during hot weather. To avoid wastage, it’s important to adopt organic practices such as selecting appropriate grass species for your area and applying compost which, means using less water. Moreover, watering deeply two to three times a week is far better than watering daily. It will lend the grass a deep root system, making it stronger and drought resistant. This is an ideal way to conserve water and make sure you are using it wisely. If you have moss growing on your sidewalk or driveway, or in your garden, it is a sign that you are overwatering your lawn. Also, if you have pools of standing water anywhere, it’s a clear indication of wastage. Another tip here is to water early in the day, as waiting until evening can lead to insufficient evaporation, which can cause fungi growth. While your lawn may look green in color, it doesn’t mean that you are growing it in the most eco-friendly and sustainable way. The summer season brings quite a lot of stress when it comes to grass care. Not only is the rising temperature damaging, but we aren’t as forgiving during hot weather as we are in winter. In order to keep our lawns lush and green for outdoor activities, we try to fight nature by overwatering and continuing to fertilize. 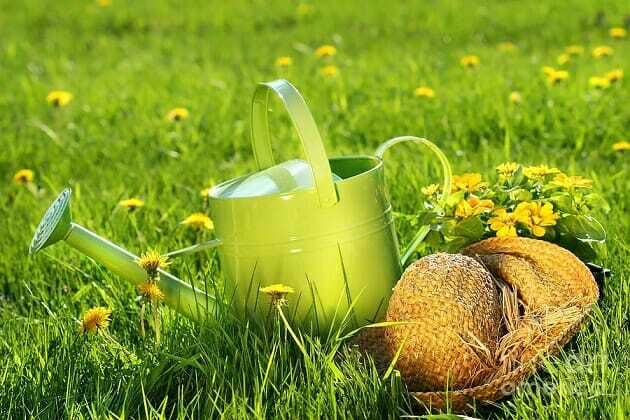 But for the healthiest summer lawn possible, use the above tips to gently care for your lawn as the mercury rises.